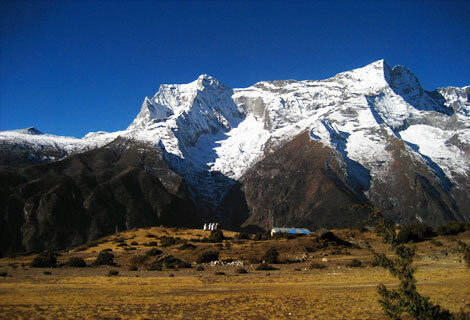 Ama Dablam Base Camp Rescue! – Summit Helicopters Pvt. 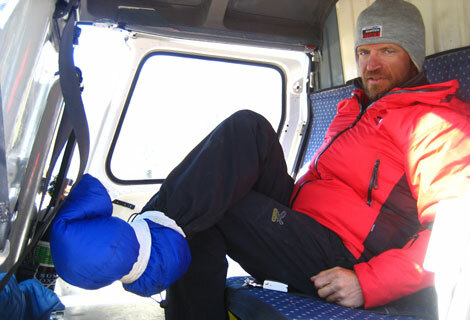 Ltd.
Mr. Tobias Warzek was rescued from Ama Dablam Base Camp this morning. The three friends Hannes Grobeer, Tobias Warzek and Hardus Amon from Austria were on their expedition tour around the Everest region–Mera Peak, Island Peak and Ama Dablam when Tobias unfortunately experienced a frost bite on his right foot and couldn’t walk further. As soon as Fishtail air was notified of the rescue AIK (AS350B) was flown from Kathmandu to Syangboche initially and thereafter to Ama Dablam Base camp where they were all waiting for the chopper to have him safe and given immediate medical attention. They were flown to Kathmandu where he shall receive necessary treatment. We wish him the earliest recovery and that he can soon walk again and feel the earth.